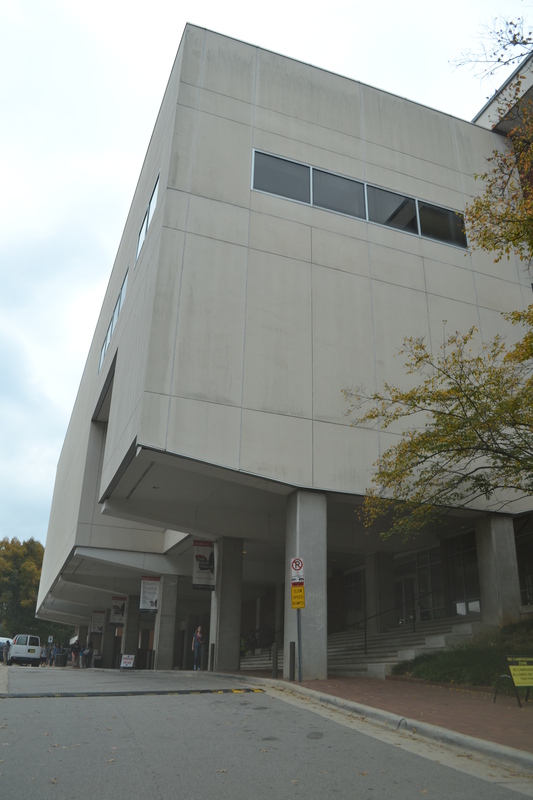 The Gregg Museum of Art and Design, a collecting museum at NC State University, has been located in the Talley Student Center on NCSU campus since 1992. The museum is an incredible cultural resource within our state, possessing more than 20,000 objects ranging from textiles to ceramics, painting, folk art, photography, architectural drawings and modern furniture, which are circulated on display throughout the year in different exhibitions. I made my first trek to the Gregg this summer to inspect a temporary exhibition and was excited by this hidden gem of a museum that often seems to evade the arts spotlight. The Gregg’s collection is extensive and impressive, covering both a wide time frame and a wide range of mediums, styles, and geographic locations from which the pieces hail. The collection truly embodies the museum’s mission to foster learning and understanding of the culture of North Carolina as well as the world. 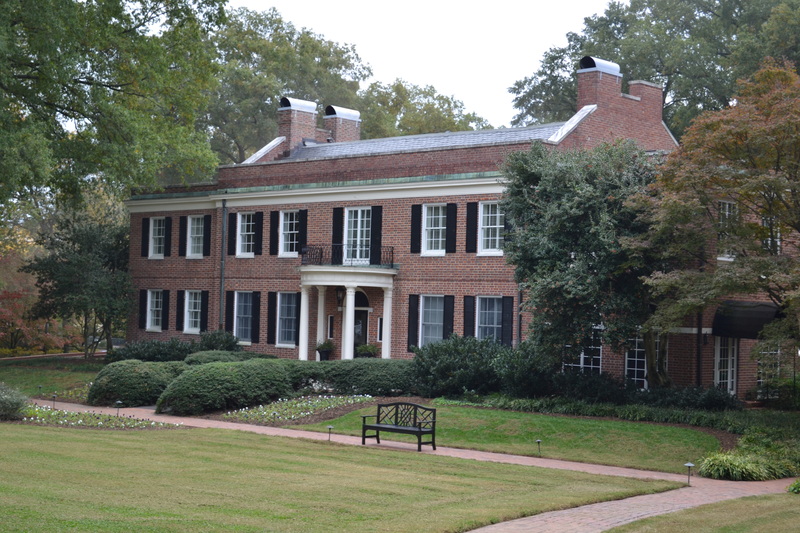 In spring 2014 The Gregg Museum will transfer its bounty of art and artifacts to a new home at what is now the NC State Chancellor’s Residence located at 1903 Hillsborough Street. The historic property was built in 1928, 41 years after NCSU was founded, and has remained largely unchanged over the past 74 years. The structure is an alluring piece of treasured architecture which represents our state’s history as well as the university’s. The picturesque home of the future Gregg will also be an aesthetic upgrade from its not-so-lovely current space, the Talley Student Center. Plans have been drawn for an additional 16,000-plus square feet to be added to the Chancellor’s Residence to create more space to showcase the museum’s collection and to provide room for rotating exhibitions, temporary shows, classes, programs, concerts, festivals, film screenings and sculpture displays. Seriously exciting. The new museum is scheduled to be open by spring 2014. This Sunday is the Gregg’s Art Outside the Box event, which will celebrate the new home of the museum at its future location. Guests of all ages are welcome to gather for a festive afternoon of art, music, creativity and food. World-famous topiary artist Pearl Fryer will be on site demonstrating his superior mastery of the hedge and chatting about his unique skills. Guests will also have the opportunity to create DIY masterpieces alongside potters, painters, jewelers, origami artists and wood workers. As if the sheer magnitude of the creative forces present at the event on Sunday isn’t enough to draw you out of your humble abode, the afternoon will also feature a plethora of musical genres and performing artists from jazz, rock, and soul to country and a capella singers. While jamming out and getting crafty you can munch on free grub from some of the capital city’s finest eateries. The Art Outside the Box event is this Sunday, October 29th, from 12 to 4 p.m. at the NC State Chancellor’s Residence at 1903 Hillsborough Street.